I was fortunate to obtain some “as new” PECO 9 inch radius electrofrog points. Since I wanted to add a Bay platform road to the station, I used two of these to make the new line, with kick-back. At present, these are hand operated, but I will add point motors in due course. The harbour wall, and cobbled surface for the fish landing area. 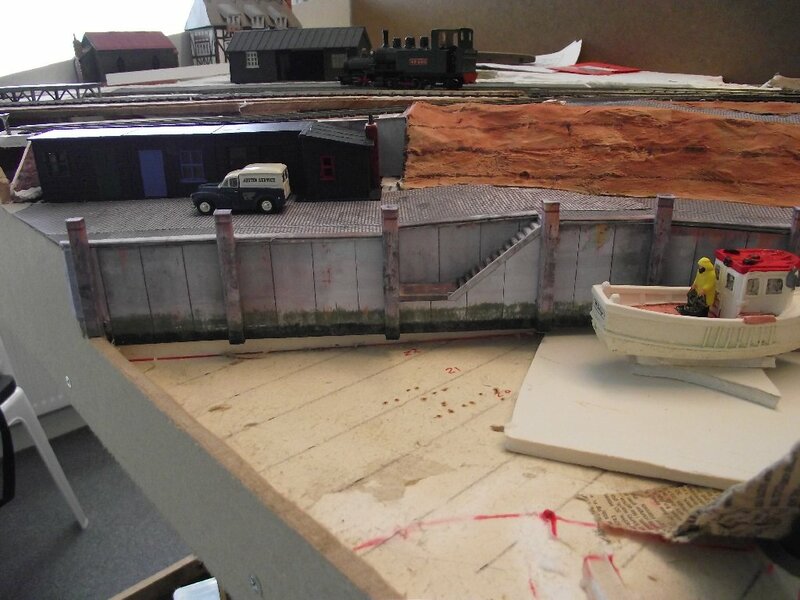 The harbour wall has been formed from ‘Scalescenes’ downloadable prints. These have options for different finishes for the wall and top surface. I used a concrete wall, with wooden piles, and cobbled surface to the landing area. Huts from Dapol trackside buildings kit. 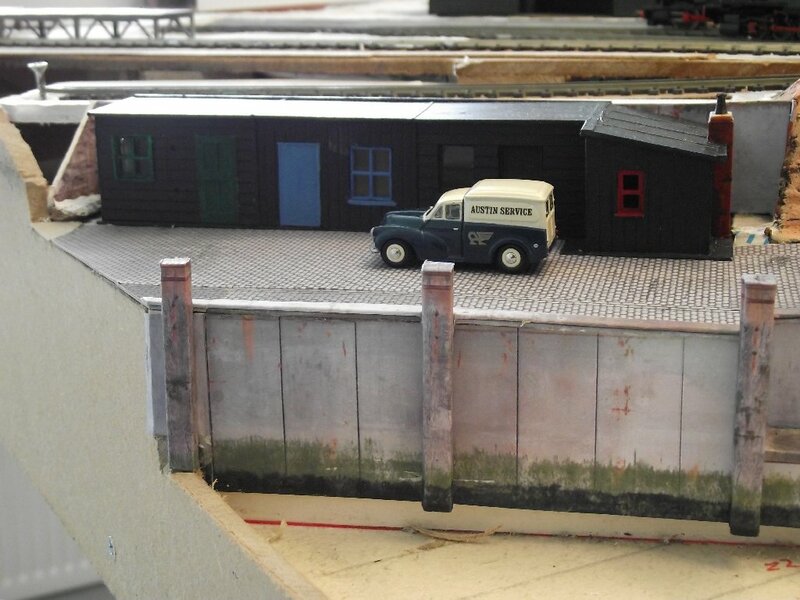 The Fishermen’s storage huts have been constructed from Dapol (ex Airfix) trackside buildings kit. 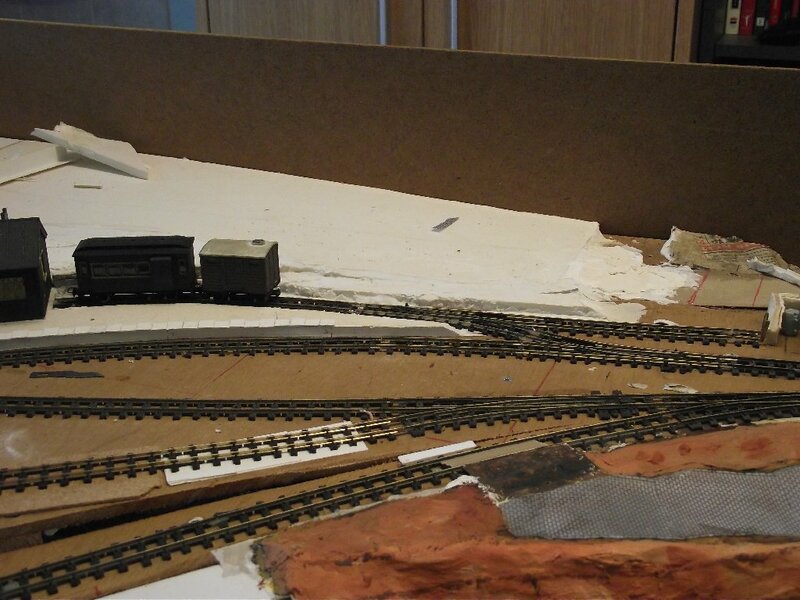 I was inspired by an article by Neil Rushby, in November 2013 Railway Modeller, who converted the same kits for his layout, but with different results. Upstream from the harbour – with winding road down to the landing area. A winding road has been constructed down from the railway yard to the harbour. 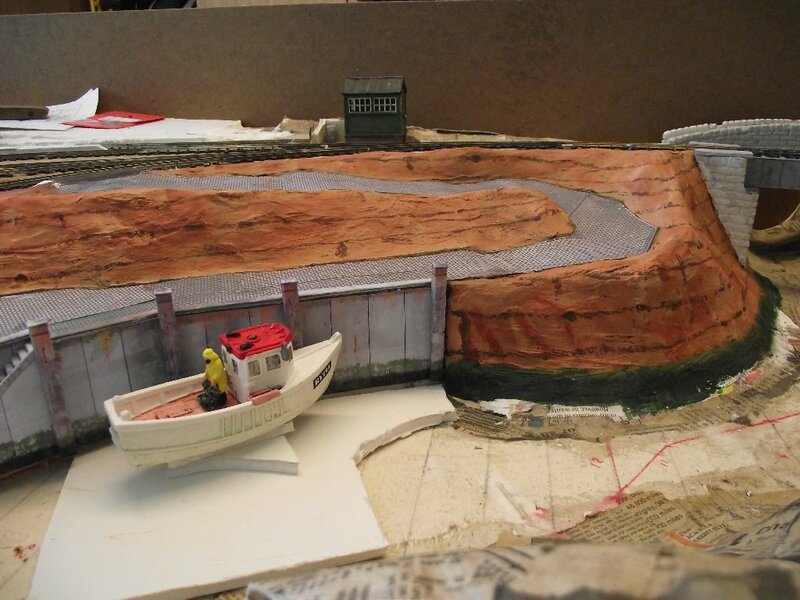 This uses the same Scalescenes cobbles as the main surface. 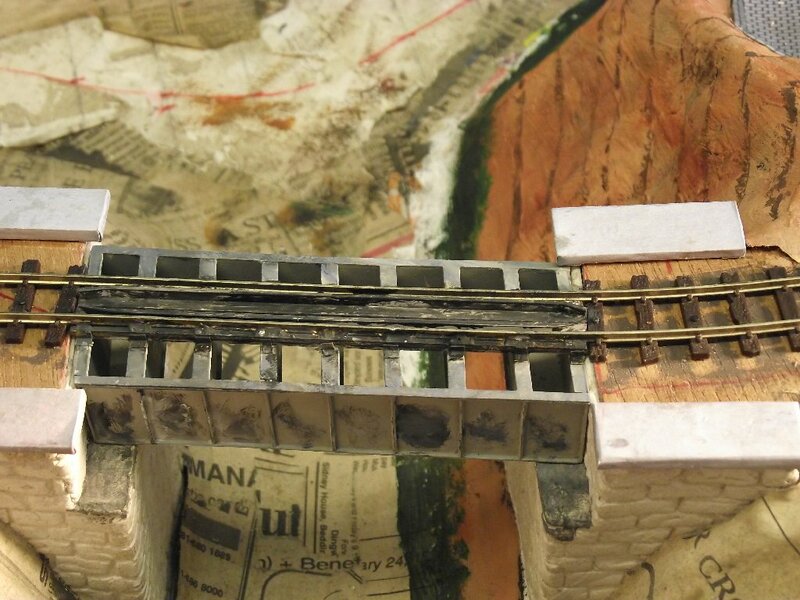 The cliffs have been completed, and painted to represent the Upper Greensand typical of this area of Lyme Bay. The proposed final level for the water is shown by the green marks on the wall and cliffs. Compare this picture of progress with the rail bridge, crossing the tributary river to the Art, with the earlier one on the main page. The longitudinal beams now have steel angle fixings, to keep to gauge, and heavy angle check rails to prevent trains plunging into the water! Still to be added is the walkway on the near side as pictured.